Manage your daily life with Braille EDGE 40! 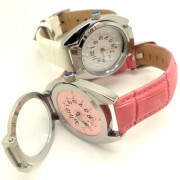 it also helps you manage your daily activities. Take advantage of the built-in applications such as Notepad, Scheduler, Alarm, Clock and Calculator, which can be used without connection to a PC or smart phone. User friendly function keys and mouse connectivity! 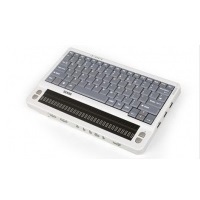 2 four-way navigation keys and 8 function keys offer the intuitive functionality of a PC keyboard together with the convenience of entering text in Braille. 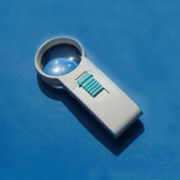 Connect a USB mouse and enjoy additional navigation options such as faster scrolling through documents and opening the menu with a click! 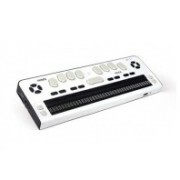 Connect Braille EDGE 40 to a PC, PDA or smart phone via Bluetooth and stay connected throughout the day without the need of charging. 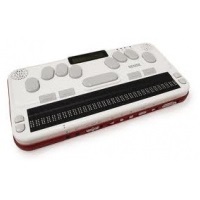 For even longer operating time, connect via USB and enjoy all the great features of Braille EDGE 40 while simultaneously charging the unit. 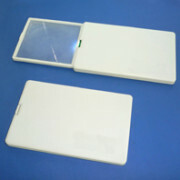 Read and save your Notepad and Scheduler data to the SD card. You can use up to 32GB SDHC card with Braille EDGE 40, enough to store thousands of books and documents for reading on the go. 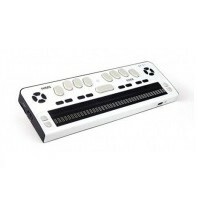 Braille EDGE 40 offers you the convenience and flexibility to choose among 13 of the most commonly used languages.